Videos - GOLDINVEST.de | Das Portal für Edelmetalle und Rohstoff-Aktien - Kann Gold von Jackson Hole profitieren? Gold could see a massive surge in a “blink of the eye” said U.S. Global Investors CEO Frank Holmes. Current depressed prices are caused by short selling, which could make a rebound in prices more likely should the bet to the downside be more depressed. On the coming Fed meeting in Jackson Hole, Holmes said that investors are expecting more rate hikes, a stronger dollar, and hence pressure on gold. “We see a big futures bet where leverage is 10 and 20 to one, betting that bonds are going to fall further, gold is going to fall further, and the U.S. dollar is going to explode. 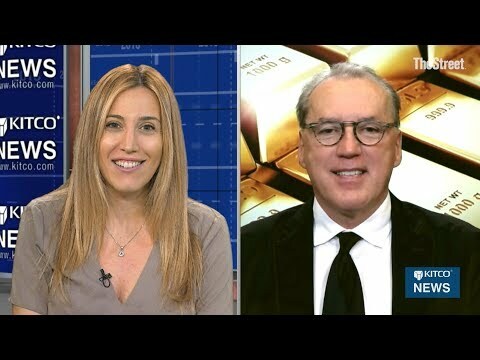 And when that’s crowded bet, and when we have gold over 12-month rolling for 15 years down one standard deviation, the odds are even greater that we get a big rally,” Holmes told Kitco News.